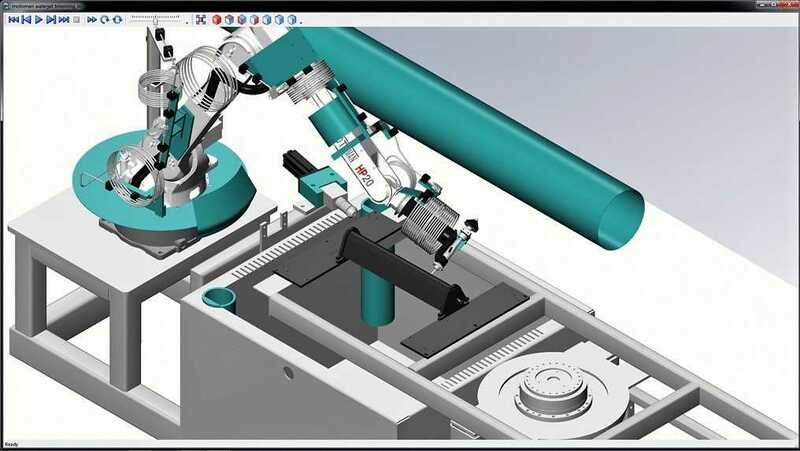 Robot programming CAD CAM software, Robotmaster software, seamlessly integrates robot programming simulation while delivering quicker robot programming. Create simple or complex robot trajectories accurately without teaching points. 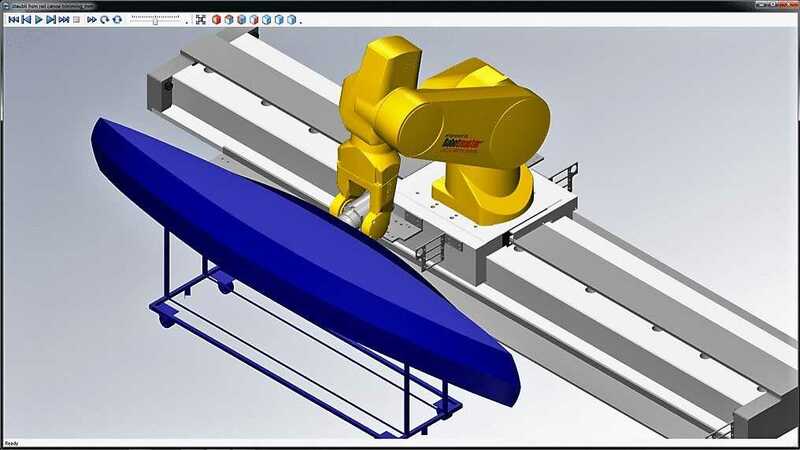 The programming of the robot trajectory is done graphically using the same process and tools used for CNC machines, by selecting geometry (lines, arcs, part edges and/or 3D part). Once the geometry is selected, parameter boxes guide the user in making the proper selection of process information. This software eliminates adjustments and increases program accuracy by calibrating the physical part and tool setup with the virtual CAD model. 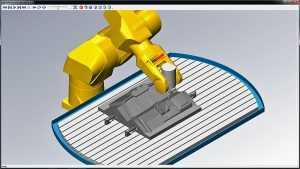 Furthermore, you can choose from FANUC, ABB, MOTOMAN, KUKA, STAUBLI and more. 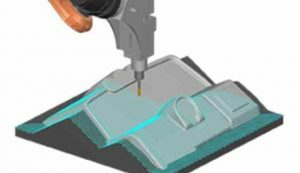 The robot software delivers precise tool motion control and quick generation of long tool path trajectories with minimal programmer intervention. 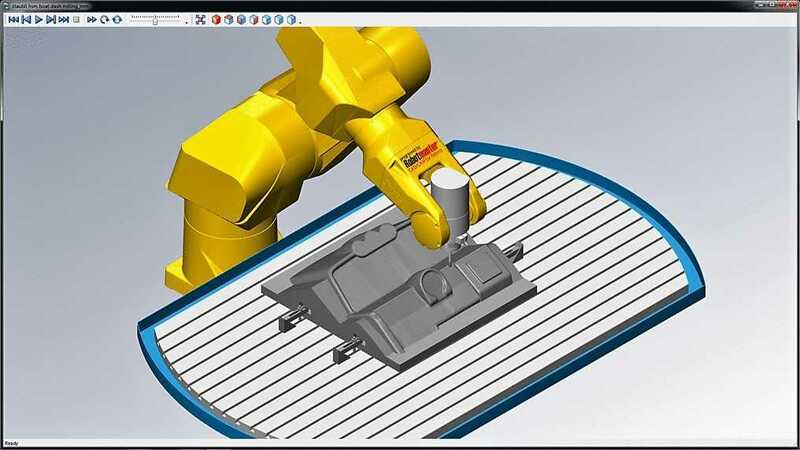 Robotmaster uses mature robot programming CAD CAM software technologies for programming with the same flexibility and speed as software used for programming CNC machine tools.